NICVIEW lets families watch their vulnerable infants in the NICU in real-time, even when they’re far away. Bonding between parents and their new baby is as important in the NICU as it is at home. NICVIEW is designed to help families develop that bond with their preemie or hospitalized infant, even when they cannot be at the bedside. Parents, siblings and relatives get to know their newborn by watching daily progress. 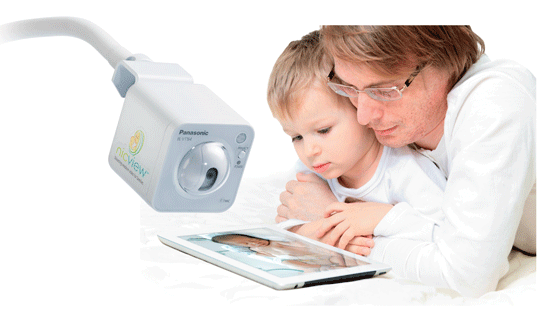 An unobtrusive camera mounted close to the bed delivers streamed video images around the clock, so that families can watch their newborn anytime, anywhere – on any device with internet access.